My wife and I flew on LH778 and LH 779 on 24.2.16 and 25.3.16 respectively. We paid a total of £280 for 2 seat reservations with extra leg room. 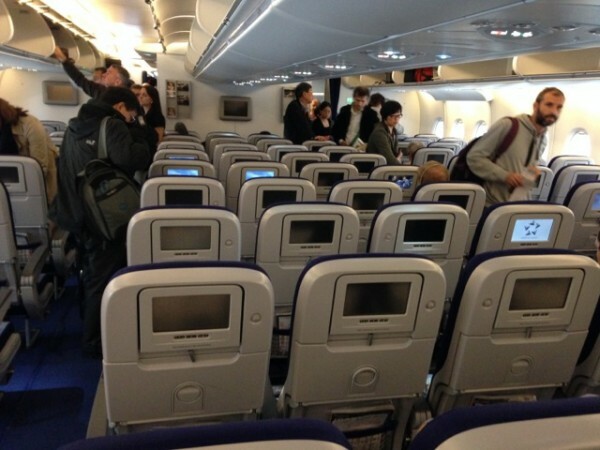 We occupied seats 75B and 75C on the outward and inward flights. These seats were by the 4 toilets and we were constantly prevented from sleeping by the continual slamming of the toilet doors and the bright lights as the toilet doors opened after use. 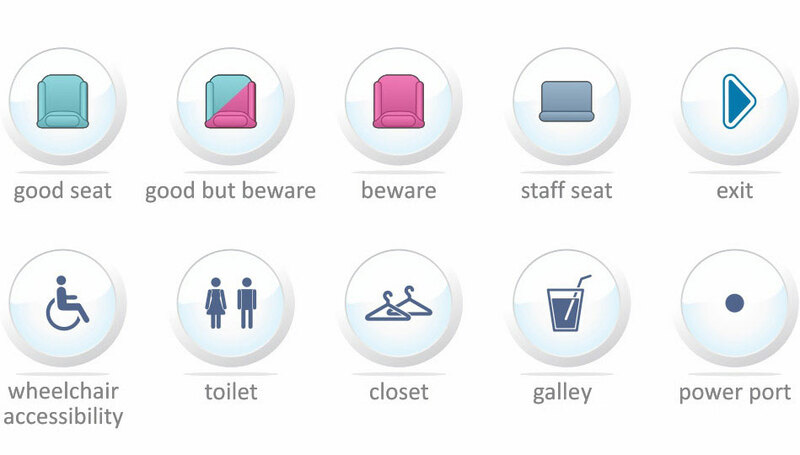 Then there is the unpleasant odour of being in such close proximity to the lavatories. It has been a terrible experience and ruined the start and end of the holiday. Both my wife and I had our toes stood on or legs kicked as people queued in the semi-dark for the toilets throughout the night flights. I do not expect to pay £280 for this type of experience. Furthermore passengers, understandably, were regularly using the space to stretch their limbs, stand up or simply look out of the door window. It was busier than a airport lounge and is not pleasant as one tries to simply relax or eat the airline meal. I complained to the crew and although they were helpful they could not possibly resolve the situation although incredibly we were offered standard seats as an alternative but not a refund. The toilets, in their central position, were serving around 280 people and few used the toilets at the very front or rear of the aeroplane. 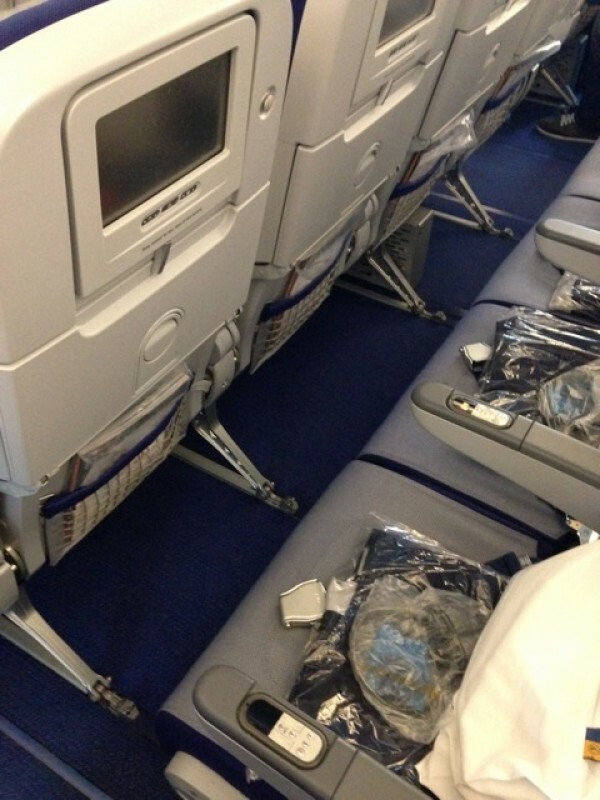 The seats we occupied, being where they are, means that to sell these seats as extra legroom is a diabolical disgrace. Every single member of the crew we spoke to (four in total) separately agreed with this point and it did not require any encouragement or prompting. If the crew know it then surely you are well aware of this too and yet you continue to sell these seats as being in a privileged position without any warning as to their unsuitability. Why is this? We both feel that we have been cheated and quite blatantly robbed by a reputable business as the seats are sold by you securely in the knowledge that they are actually inappropriate and the reality is that you may have extra legroom but you cant use it to any advantage. I cant think that we shall ever travel with the airline again, particularly in such seats. As I write this complaint I am naturally very, very angry. I may still be tired and irritable but the hurt comes from knowing that this extra £280 we paid, for the holiday of a lifetime, has been quite readily taken off us by Lufthansa in such a deceitful manner. Extremely uncomfortable, due to very small leg-room. My knees were almost permanently touching the back of the seat in front. The seats recline sharply - no slow recline - and as a result the food on my tray was propelled towards me, and only stopped landing on my lap because there was not enough room for it to drop. The seats were very difficult to raise from the recline position. When the seat in front is reclined it is extremely difficult to get out of your seat, and normally it requires the arm rests to be raised. The entertainment system was very bad - the screen being almost unresponsive, almost defaulting to the Kids menu regardless of the choice selected. And it required many taps on the screen to get any response - obviously to the annoyance of the person seated in front. However, the choice of movies, CDs. etc was reasonable. The on-board staff were excellent - catering to every demand in an efficient manner. However the ground staff were not so good. 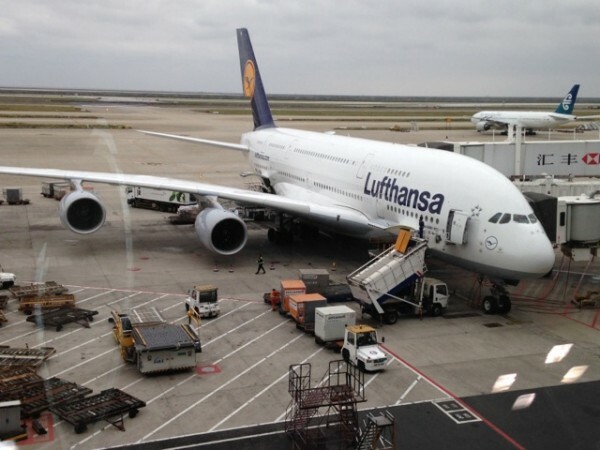 The A380 counter was a shambles. For example the announcer told First Class, Business Class, Senators, etc to go through the Right side of the counter, and Economy to pass through the Left. So everyone worked their way to the correct side, only for the announcer to tell us that we were going to the wrong side as she was talking about her Right and Left. So everyone had to cross through each other to get to the opposite side. Not good!!! I have read elsewhere that the actual seats are very uncomfortable, but I found them perfectly acceptable. Unfortunately, the A seating left a great gap on the side, and this removed the chance of sleeping against the side - it was too far away. Business seats are not up to today's standard (not fully flat). No good leg room either! 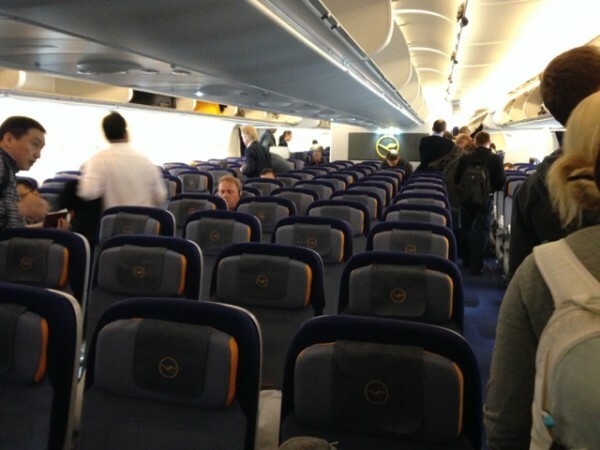 NO MORE Lufthansa on my long-haul flight before they change to comfortable fully flatbed seats in the business class!!!! A baby in the seat behind me - Despite of earplugs and headphones, NO sleep for me on this 12 hours flight. Babies should NOT AT ALL be allowed in business. I fly 100K miles a year; it's always a "lottery" whether you’ll arrive at your destination refreshed or dog-tired/smashed. 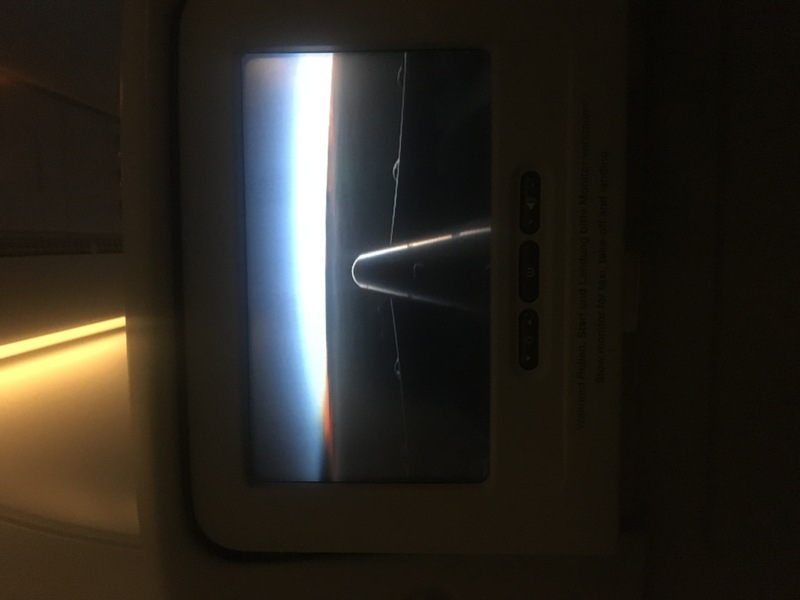 Why do I (and others) pay for business class? The only reason is the "right" seat and having some sleep. We all love babies but they don't belong in business class. For the sake of respect towards other passengers, I never flew business when I travelled with our very young kids. 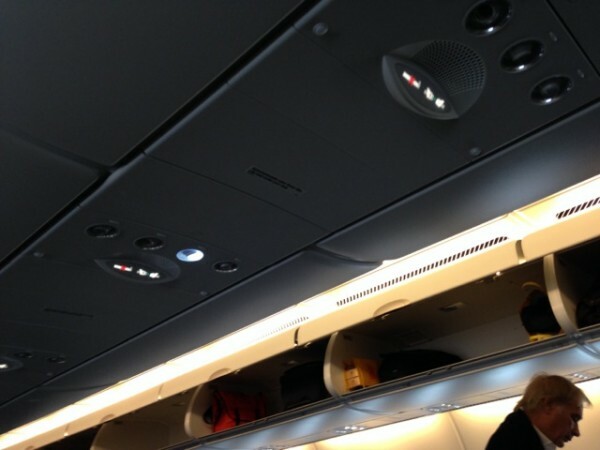 Furthermore, the purser Mrs C. Kosch on the flight LH 842 Dec 1st was extremely rude when she learned that I complained. After 30 years of travelling, NO MORE LUFTHANSA on long-haul journeys before LH changes the seats to a normal nowadays standard. I chose to be on the upper deck and personally, in absemce of better places, I have found it excellent. 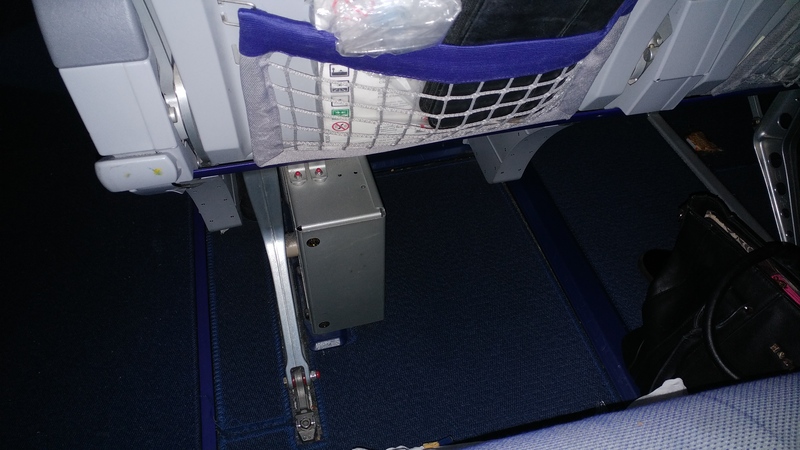 If you take row 95, you are in front of the emergency row - means more space for legs but no space for luggage in front of you / tv screen inside your seat, no big deal up to you. 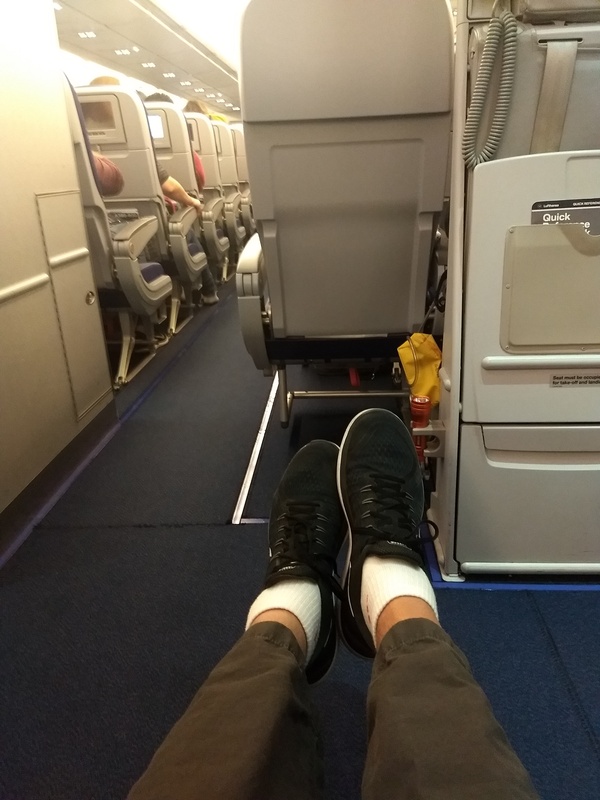 the good thing about economy class upper deck: if you choose one of the side rows, it's 2 seats instead of 3 like in the rest of the plane (the space seat and width is the same of course, the plane gets a bit thinner in this ending part. This is an exit row seat. The seat is a little bit narrower as your tray is in the arm rest. You have unlimited legroom. Unlimited. I am 6'3", 235 and had plenty of room. You do not get a window which is ok. There are 24 flight crew members so you do not have to assist. The cost was an additional 115.00 dollars and worth every penny. Only drawback is you are very close to restrooms, but it was a very very minor issue. Boarding in FRA is directly from the lounge at the gate. Very efficient! Very nice airplane but Business seats are not up to today's standards (not fully flat). Legroom is pretty good though. Extra storage at window seats is a plus as well. It was a great experience even though I have fear of flying . The pilot and airplane were great !! The landing and take off felt smooth and not too fast or bumpy . 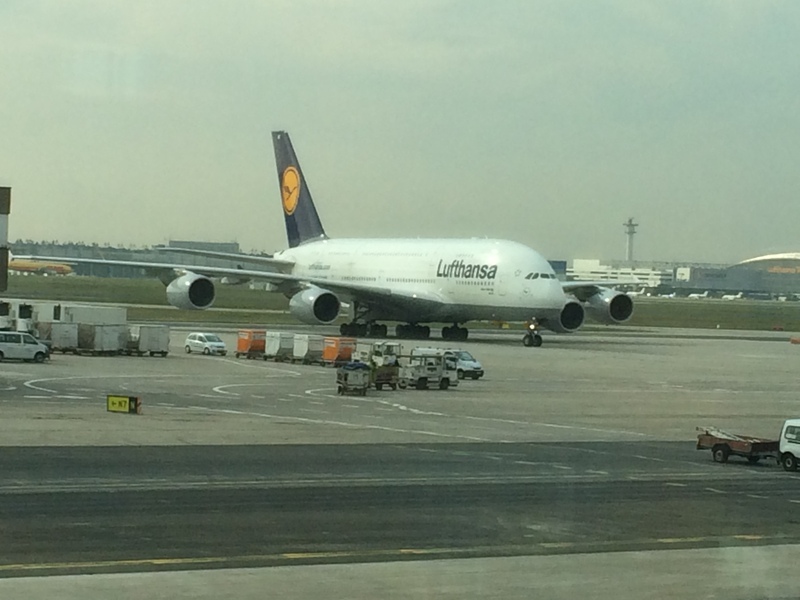 Thank you Lufthansa pilots , flight crew , engineers etc !!! You do an awesome job at making sure the passengers get to their destination safely !! You made it so I could see my family members that live overseas . God bless you. This seat has a good legroom and width for me with 175CM (5'8'') height. Compared to other economy seats in planes used for long-haul routes such as de A340 or the B777 this one was definitely more spatious. We had a perfect trip, slept 9 out 11 hours. Of course with start & landing you need to stow your belongings, but after you have plenty of time and space to place them in front of you.